All looked set fair. Greece's property market had seemed to be bottoming out after an eight year slump. House prices were set for an upturn, optimism was rising. But now, renewed uncertainty in the economy is sending a fresh chill through the real estate sector. Residential property prices fell 0.6% in the last quarter of 2016, an improvement from a drop of 5.1% during the same quarter a year earlier, according to the Bank of Greece, the country's central bank. Athens was most resilient, with prices dropping only 0.4% during the year, helped by strong tourism sector as city centre home owners leased out more properties to short term visitors. 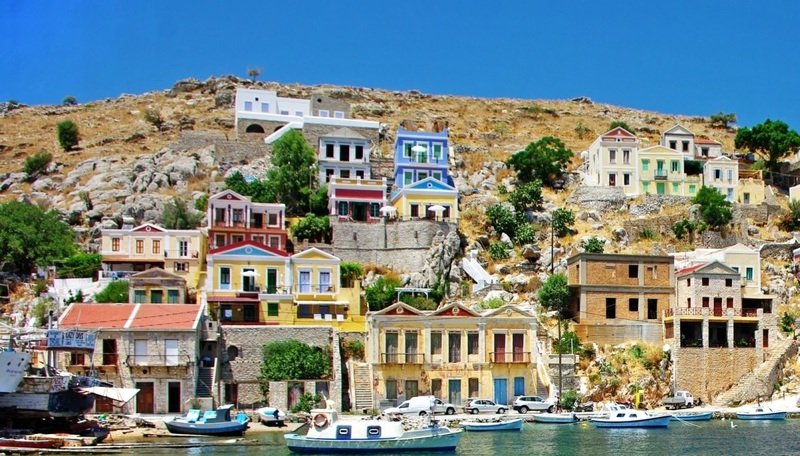 The latest price falls are small, and seemed to be the tail end of a price slump which had shaved more than 40% off the Greek property market since the crisis began. Yet renewed tension between Greece and international creditors - eurozone countries and the International Monetary Fund over further rescue funding is harming fragile confidence in the economy. If Greece doesn't secure more funding soon, there are concerns that it will miss this year's expected economic rebound and will not be included in the European Central Bank's bond buying program that could help the country return to debt markets. Greek government officials say that the talks are likely to wind up soon after been dragging on since late last year. The latest report from the European Commission says the Greek economy is forecast to expand by 2.7% this year after having shrunk by nearly a quarter in the last eight years. Exports and private consumption have helped push the economy, but the momentum has decreased sharply since the start of the year. "Downward risks mainly relate to uncertainties over the completion of the review of the (bailout) programme and external factors such as international and regional geopolitical and economic tensions, as well as the refugee crisis," said the European Commission. Unemployment in Greece remains at record highs of about 24%, capital controls are still in place, and banks are holding back on lending, with some 100 billion euros, close to 60% of gross domestic product, on their books. These negative conditions, along with the country's political and economic uncertainty, are harming the real estate market, said consultant NAI Hellas in a report. "Many international institutional or private investors are looking at the local market, with very few deals having, however, been completed," said the report. Yiannis Ploumis, from Ploumis-Sotiropoulos real estate agency, says that buying interest from abroad has noticeably cooled since the start of the year. "Were the present uncertainty related to the completion of the second bailout review...to be recorded in the summer months, it is obvious that we would be talking about a serious loss," he said.